Yes, but what do I do with that client?” That is a question Dr. Wayne Perry often hears as he works with beginning counselors or therapists. It is the question Basic Counseling Techniques seeks to answer. Born out of Dr. Perrys more than twenty-years experience training marriage and family therapists and pastoral counselors, this book skips the theory and goes right for the practical application. Students in counseling or therapy training programs will find Basic Counseling Techniques an essential part of their studies. This textbook gives the basic steps to actually applying nine different sets of clinical tools, and guidelines for selecting the appropriate tool for the appropriate clinical situation. That makes this textbook unique in the field. 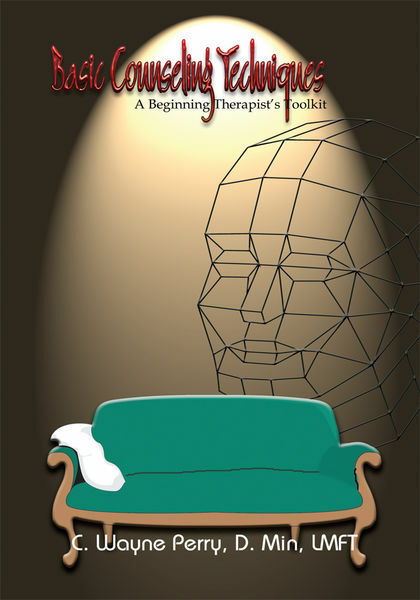 Another unique feature is this textbooks practical suggestions for setting up the therapy room, using audio-visual recording equipment, and making covert interactions overt. Each of the fifteen chapters concludes with a “Living Into the Lesson” section to give the reader experiential exercises to apply that chapters skills.